I have been having fun coming up with these themed tot school activities for Ellie. 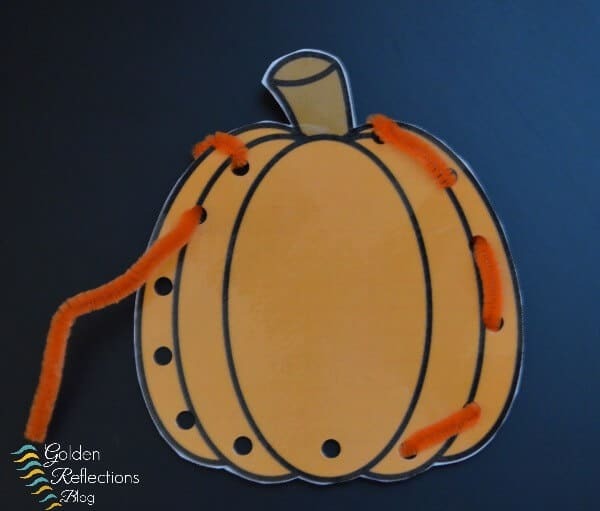 This week I put together a really fun pumpkin theme tot-school week for her. I didn't do as many activities as I normally do. Keeping it simple was the name of the game this week. There is a free tot school printable at the end of this post so you can do some of these at home too. 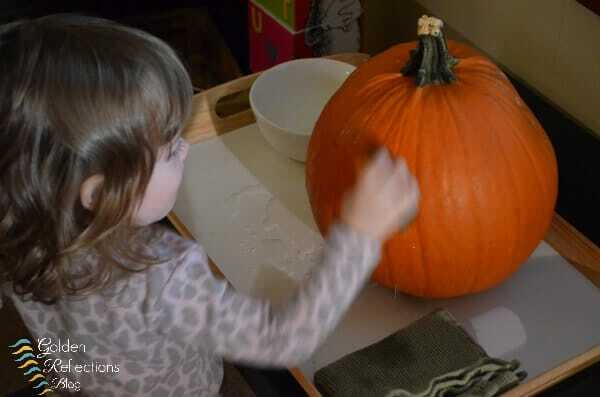 The first activity we did was a pumpkin washing/scrub activity. We had actually gone to the pumpkin patch last week and picked out a pumpkin. So it was perfect for her to clean. I introduced this to her briefly and then let her continue. When she was done she actually took the bowl and scrub brush to the sink without me prompting her to do so. I was pretty proud of her for doing that. We are still working on introducing practical life skills at home. I hope she will do more and more of the set-up of this activity soon. 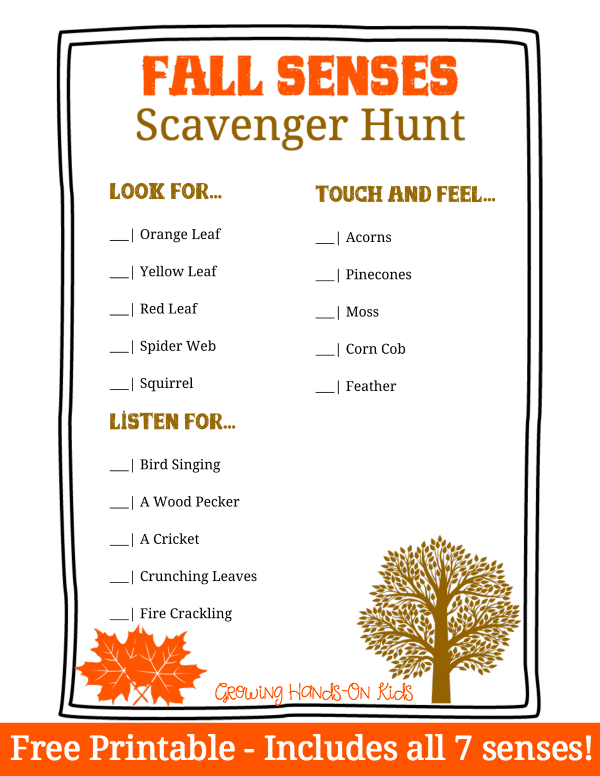 This printable is included in the tot school printable below. It is for numbers 1-5 and I used glass pumpkin beads (note, I did buy two bags of beads and there were only 8 pumpkins total between both bags). I did not include the numbers or words when Ellie did this because she is just learning to count. 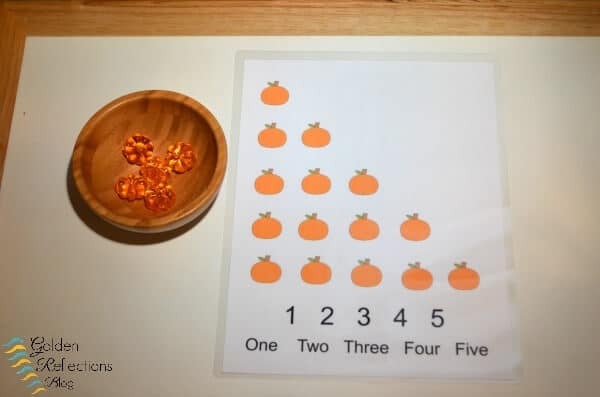 But I included them in case you have an older toddler that is ready to match numbers and number words next to the correct pumpkin strips. I laminated the entire page and then cut the strips of pumpkins out and cut each word and number out individually. I included this one in the printable packet below as well. There are two different pumpkins to choose from in the printable. I cut laminated, cut it out, and then used a hole punch to cut the circles. You could use pipe cleaners like I did above, yarn, or shoe string for the lacing. Ellie tried this one but had a little trouble actually getting it. So this would probably be good for an older toddler. 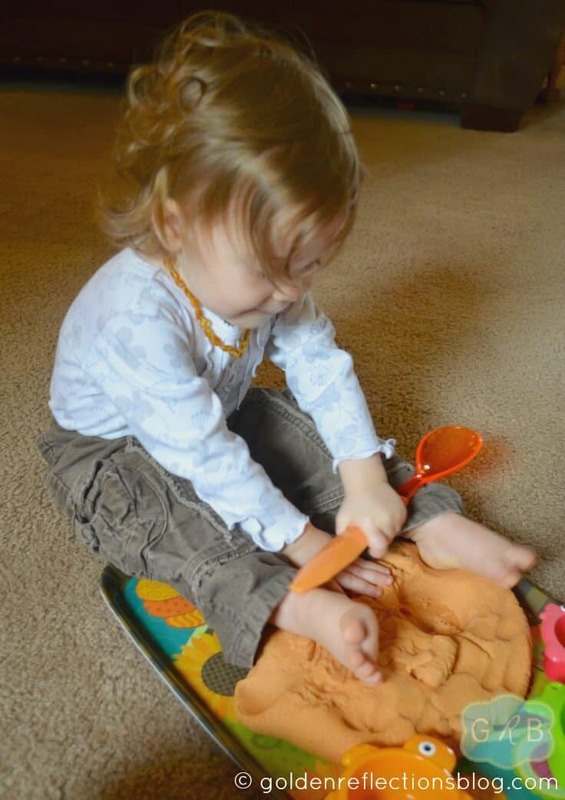 We did this Pumpkin Pie scented play dough activity last year actually, but it fits in perfectly with this pumpkin theme week. I plan on making it again and including it on her shelf this week. 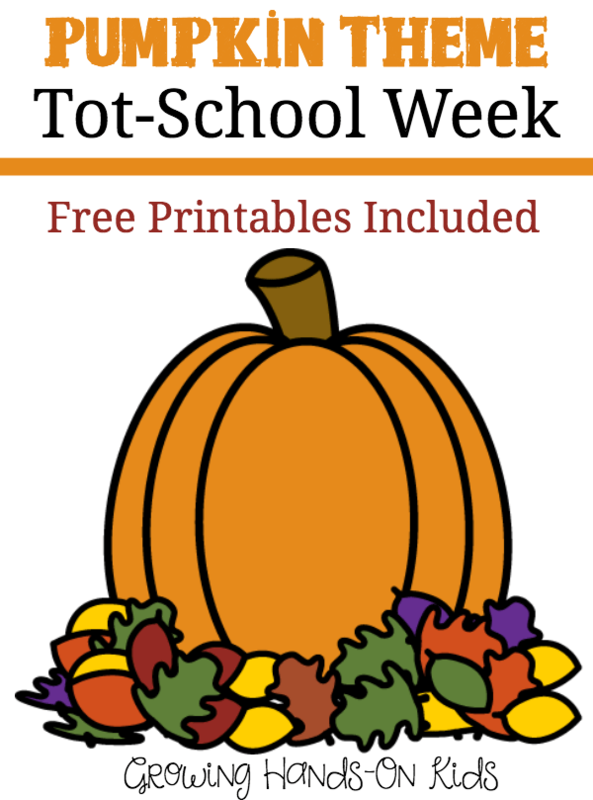 Follow the link below to download your free Pumpkin tot-school printable. 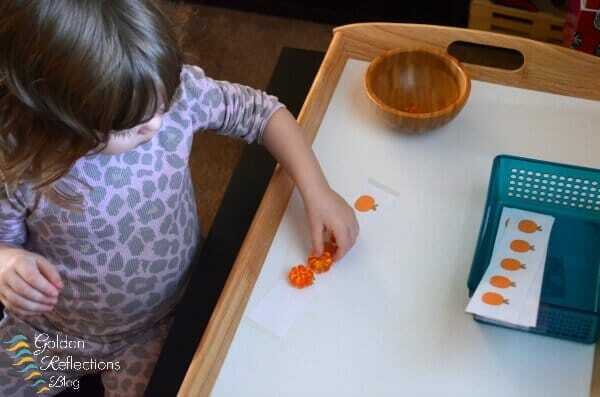 For more tot school week ideas check out my Homeschool Tot School Pinterest board. Follow Heather G. | Golden Reflections Blog ‘s board Homeschool Tot-School Ideas on Pinterest.